Ovlac is a family company which has been manufacturing farming equipment since 1936. Since its beginnings, Ovlac has focused its activity in manufacturing mouldboard ploughs which has been the company´s flagship product for decades and still is today. Over the last 15 years, Ovlac product range has been expanded to include other soil working tolos such as cultivators or short disc harrows. 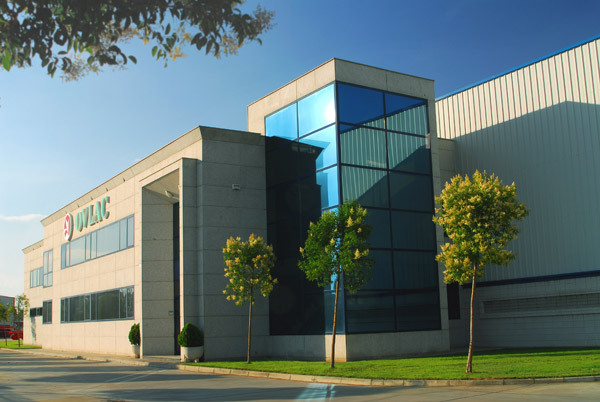 Today, Ovlac is facing its third generation and it is the biggest Spanish soil working equipment manufacturer. Thanks to our state of the art manufacturing techniques, and our in-house research and development department, we can guarantee a high quality in our products. Our team consists of some 60 motivated and experienced professionals who work in our modern facilities, which take up more than 20.000 square meters, between industrial units (10.000 m2) and logistic zones. Ovlac has a determined commitment to product quality. That is why we are ISO 9001 certified on our designing, manufacturing and selling processes. This commitment to quality is ingrained into our day-to-day tasks. Every step and decision taken in our company is carried out to meet our main goal: offer our clients reliable products which they can be proud of. Ovlac exports around 60% of its production to more than 20 countries. Competitive and demanding markets like France, Germany, United Kingdom, or even overseas, like Chile, South Africa, New Zeland or China, currently demand our products.